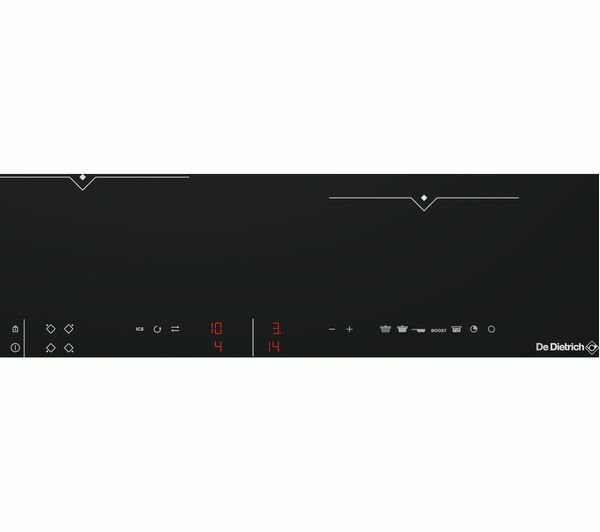 The De Dietrich DPI7650BU Electric Induction Hob uses induction technology to give you a fast and efficient hob. Induction hobs use magnets to heat up the actual pans and not the cooking surface, making them both speedier and safer. Bring out your inner chef with precise control and rapid heat to make tantalisingly tasty meals that'll wow your friends and family. The ICS function suggests the best zone to suit your varying pots, and the Switch function means you can move a pot from one cooking zone to another while keeping the same heat level. 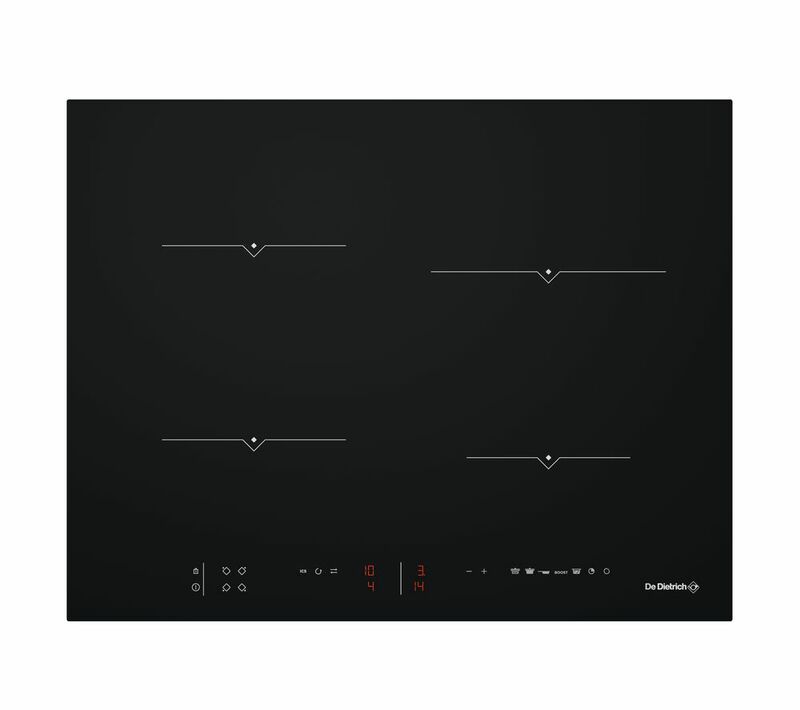 The DPI7650BU's touch controls gives you complete mastery over your hob. Adjust settings, select up to 20 power levels and four different timers with just a simple tap. Not only does this give you total control, the flat surface is also easy to wipe clean. There are also special functions including Boil which heats up water fast, and Recall that reverts to the previously used setting if you accidently turn the hob off. The DPI7650BU has a number of features to keep your kitchen safe. Auto-stop means you'll never have to worry about forgetting about a dish and it overheating, while residual heat indicators let you know if the hob is still hot. There's even a child lock to stop curious little hands from messing around with dinner. Controls are not sensitive and difficult to operate.